Activision’s remaster all of three Spyro games, the Spyro: Reignited Trilogy has been delayed. It’s being reported that the trilogy will miss it’s original September 21, 2018, release Why is being delayed? The developer Toys for Bob has stated that they want to put a bit more polish into the remasters. Paul Yan, the co-studio head over at Toys for Bob had this to say on the delay. Of course, there’s going to be some upset fans regarding the news. However, I fully support this decision. Keep in mind that these games are remastered from the ground up using the Unreal Engine 4. In addition to this, the games also will include an updated soundtrack, re-record voice-lines and more. There’s definitely a lot going on here. As such, Toys for Bob just wants to ensure that when this over and done, that gamers will have the best possible experience that they can provide. 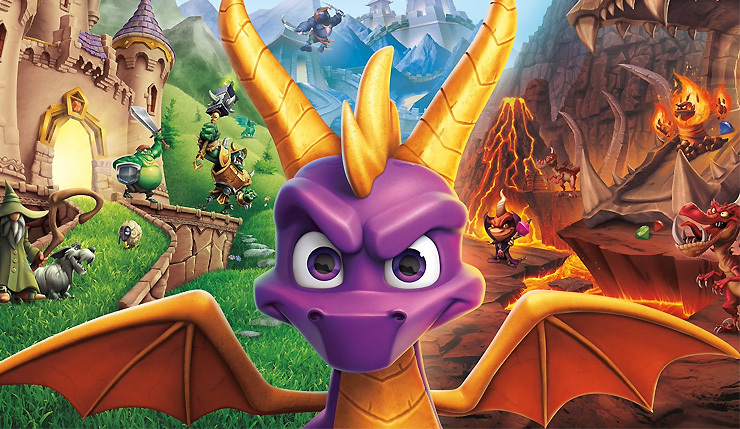 Spyro: Reignited Trilogy marks the return of everyone’s purple dragon in over ten years. And we’re not talking about the Skylanders games, as he wasn’t the main character of that series. I’m sure that once we have the game in our hands, the wait will be worth it. C’mon, it’s Spyro, how can you not love him? Spyro: Reignited Trilogy will be released for the PlayStation 4 and Xbox One, on November 13th. Maybe later we’ll see a PC and Switch release.